Recently, on one of the surveying trips I was participating in for the charity ORCA (who specialise in conservation of marine mammals in UK and international waters), I was talking to the Captain of the ship and he told me about a species of Jellyfish he had recently read about called Turritopsis dohrnii. Like all good scientists, my curiosity got the better of me so I decided to research the Turritopsis dohrnii a little further and what I found was truly fascinating… Turritopsis dohrnii has become known as the ‘Immortal Jellyfish’ because of its incredible survival abilities. To give you some background, Jellyfish start life as a planula, a type of larva (as the very artistic drawing illustrates below! ), which settle on the sea bed and cultivates into a colony of polyps. The polyps produce genetically identical Ephyra which develop maturity in a very short space of time (a matter of weeks in fact), and become Medusae. Despite being small (the Turritopsis dohrnii only grow to about 4.5mm), these miniscule jellyfish have developed an incredible survival skill – they have an ability to transfer back into a polyp when they become physically damaged through a process known as transdifferation. 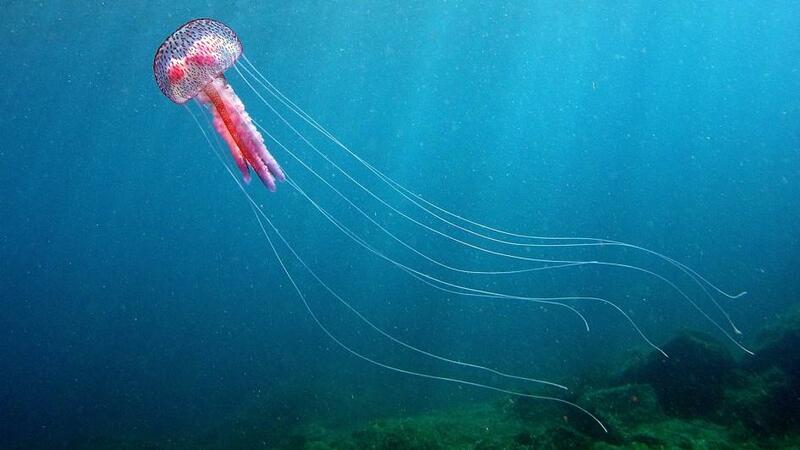 This fascinating adaptation essentially reverses the aging process of the jellyfish and it is believed that the Turritopsis dohrnii has an infinite ability to develop back into a polyp - which is why it has been given the name of the ‘Immortal Jellyfish’. Transdifferention is a process of a cell developing into an entirely different type of cell without going through a pluripotent cell state. In humans, Pluripotent cells can develop into any cell type in the body during embryonic development. There is ongoing research into the process of Transdifferention and its potential applications in health care, particularly in the area of stem cell research. Whilst I’m not sure any human would want to revert back to childhood through a similar process (! ), research into transdifferentitation could have many medical applications including discovering ways to regenerate damaged tissue. If this process can be harnessed, it is possible that similar applications could be used by the beauty industry to develop the ultimate anti-aging cream. It seems the more we discover, the more we realise that we actually know very little about the species on our planet, particularly when oceans cover more than 70% of Earth and it is predicted that less than 5% of this area has been explored. It certainly makes you wonder how many marine species we have yet to discover and what wonders they hold!